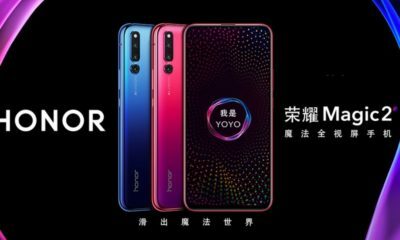 Honor ended the previous year with the unveiling of the intriguing Honor View 20 flagship smartphone. 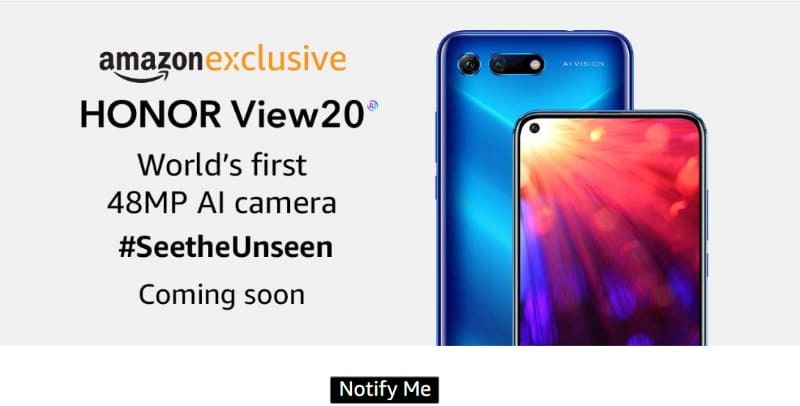 The device comes with a trendy design, a cut-out hole notch containing the selfie camera and a 48MP main shooter that can revolutionize smartphone photography by combining it with AI technology. It is already scheduled to launch on January 22 in Paris. 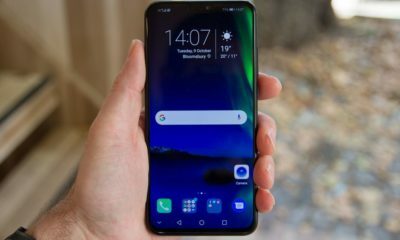 Now, a new report claims to have info on the European pricing of the Honor View 20. The pricing will start at EUR 549/569 depending on the country for the 6GB RAM + 128GB onboard storage Phantom Blue variant. There is also an 8GB RAM + 256GB onboard storage variant in either Sapphire Blur or Black that will cost EUR 649/699 again depending on the particular country. Other accessories like the Honor Watch Magic are also expected to make an appearance at the launch event in Paris. 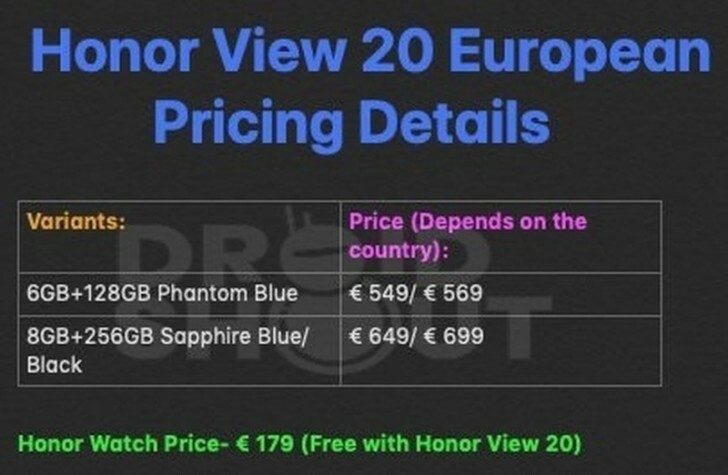 From the leak price sheet, it will come with a price tag of EUR 179 in Europe but will be offered for free with the purchase of Honor View 20 by many retailers. Capture what steals your heart and #SeeTheUnseen with world’s first 48MP AI camera in the #HONORView20. Welcome the #WorldsFirstTechnology, an @amazonIN exclusive, coming soon to India. 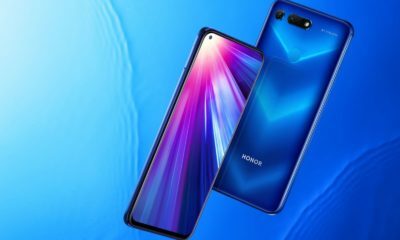 As for the Indian market, Honor India has been simultaneously teasing both the Honor View 20 and the Honor 10 Lite which is the successor to the Honor 9 Lite that was successful in India. 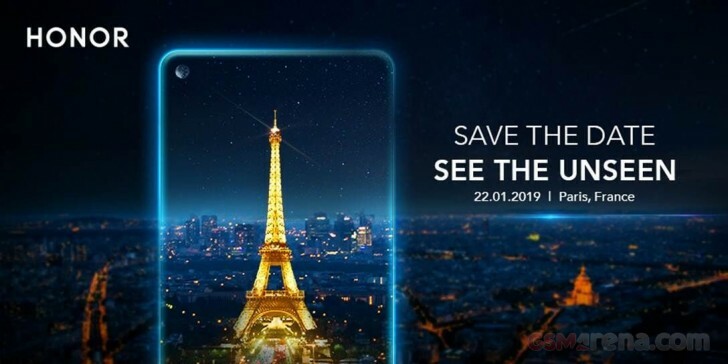 From a second source, the Chinese manufacturer has already sent out “Save the Date” invites for the local launch. 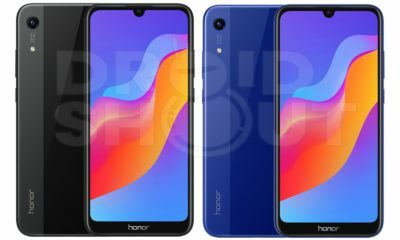 Another source mentions the Honor 10 Lite will be launched in the Indian market sometime in January which hints that the two smartphones may be launched together on the same stage. From the teasers, they will be Amazon Exclusives. 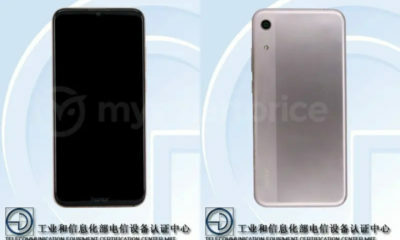 The Honor 10 Lite was unveiled in China about a month earlier than the Honor View 20. 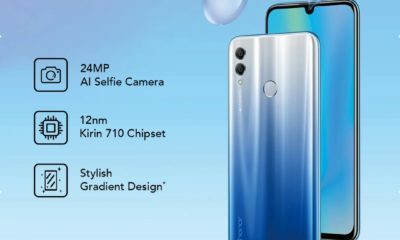 It comes with a price tag of $300 and a spec sheet that is similar to the mid-range Honor 8X that was launched last year with a focus on selfies and AI photography. Armed with these, this might be the smartphone that can dominate the mid-range market.